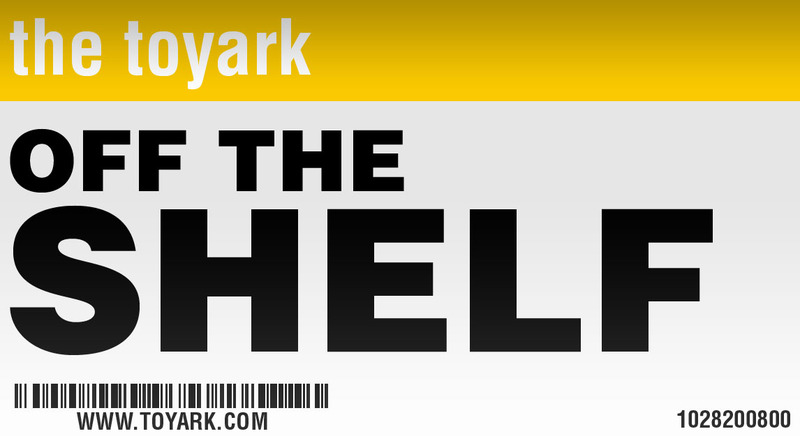 It’s time once again for Toyark: Off The Shelf. Today we have an eclectic assortment of news, tidbits and cool items from around the web. We take a look at a DC Blanket, an awesome Soundwave as an NES, some Marvel bits, a Star Wars inspired snow sled and a whole lot more. Read on to check out today’s update. You can check out all of the past installment of Toyark: Off The Shelf by Clicking Right Here. 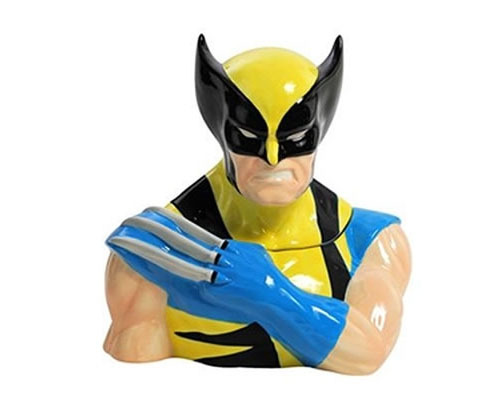 Scoop out the adamantium bones and replace with cookies for this Wolverine Cookie Jar. Marvel has announced a traveling show, akin to a circus, featuring characters from the Marvel Universe. 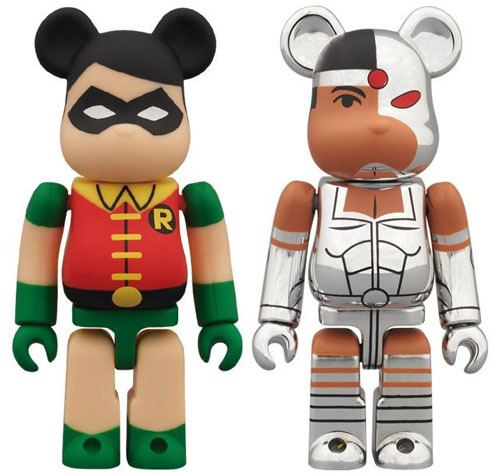 Medicom is releasing a series of Be@rbricks based on the DC Super Powers toys from the 80’s. First up is Robin and Cyborg. 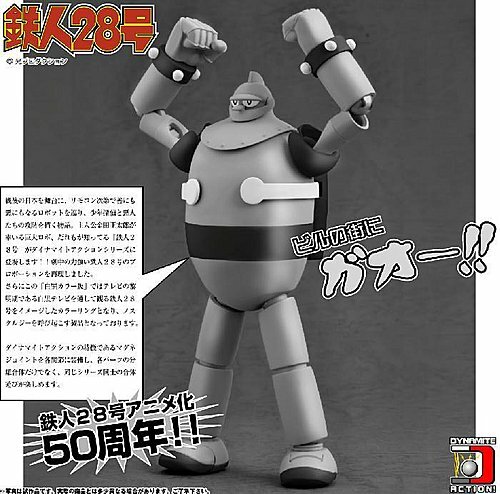 Evolution Toy is releasing a Tetsujin (aka Gigantor) Monochrome Version. It will cost about $122 and is due in August. I believe it is 28″ tall. 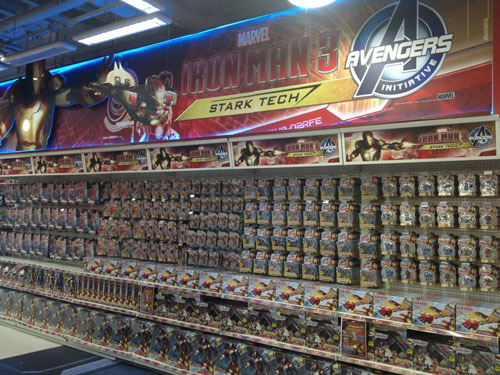 This is a preview of what Toys “R” Us’ front end display for Iron Man 3 will look like. There’s also a few photos of upcoming Iron Man 3 non-toy merchandise. 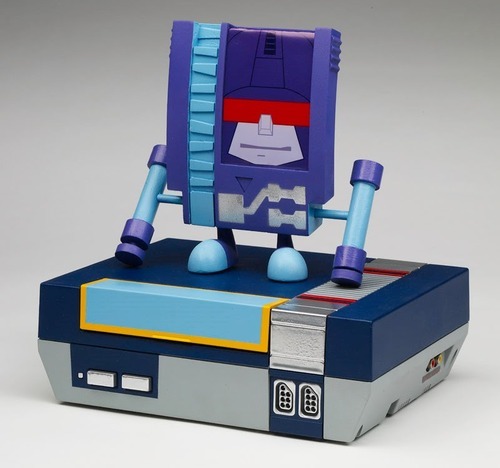 Custom Soundwave and Rumble as an NES and a game cartridge. Marvel and Comixology have postponed the free 700 Marvel #1 issues promotion. The demand killed the Comixology app and website. 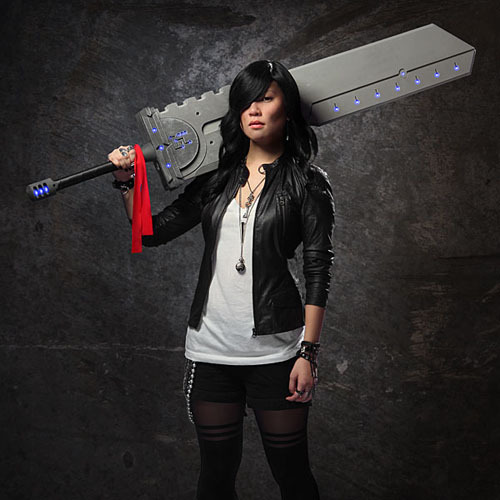 If you need a Massive Sword for your Comic Convention cosplay, then you could do a lot worse than this pre-made sword for only $80. 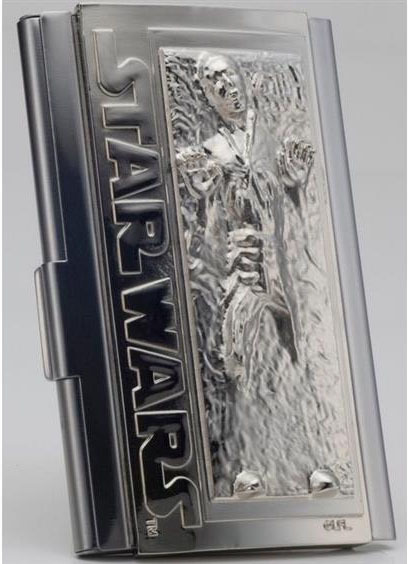 Han Solo frozen in Carbonite Business Card Holder from BBTS. 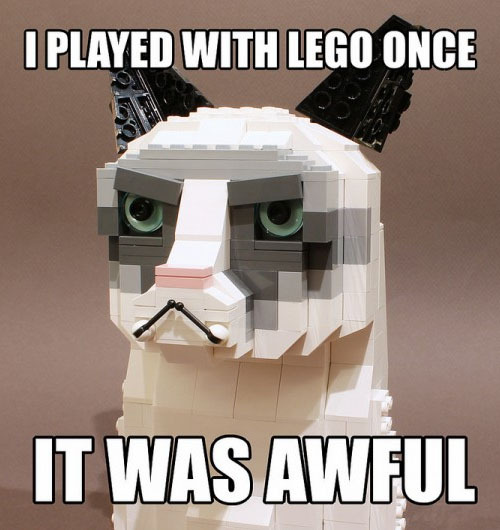 Now that Grumpy Cat has gotten the LEGO treatment, is the meme finally dead? Probably not…The damn kitty is just too adorable. 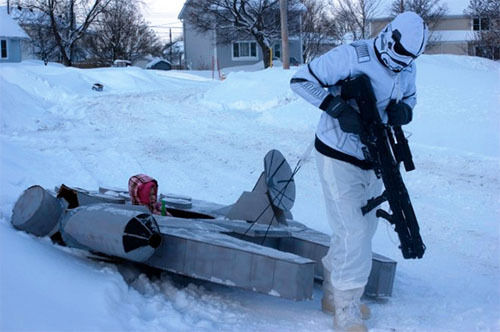 Dad builds a Millennium Falcon snow sled and gets into the running for Star Wars Dad of the year! A massive custom built movie Optimus Prime. The next Pokemon game is going the Skylanders route with an NFC system for collecting in-game Pokemon. 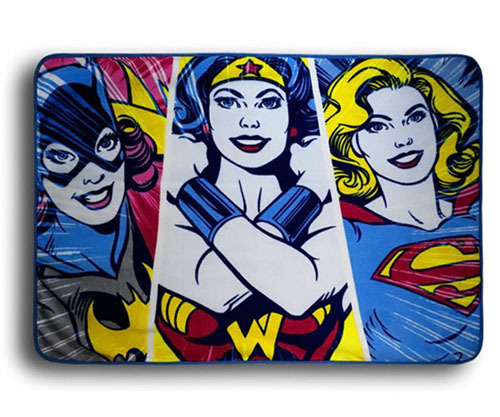 This DC Superheroines Throw Blanket lets you cuddle with your favorite DC female and not fell so creepy. Okay, it would still be a little creepy, just not as much. The Max Steel website is live and the show kicks off next month! 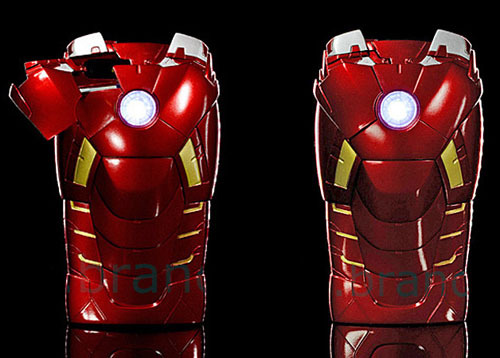 This Iron Man iPhone Case is probably better than your iPhone case. What would happen if Dead Space’s Isaac Clarke time warped into the Dragon Age II time line? 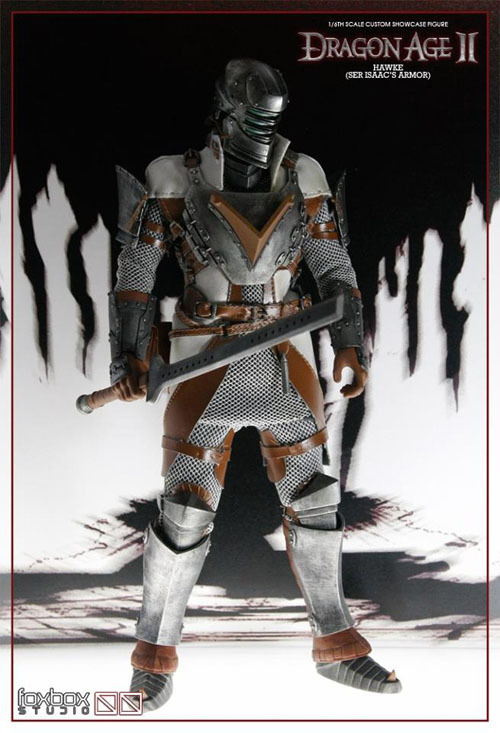 The pic above of a custom 1/6 scale Isaac Clarke in Armor seems like a pretty good indicator. Today’s toy commercial is for, the soon to be rebooted, Captain Power. 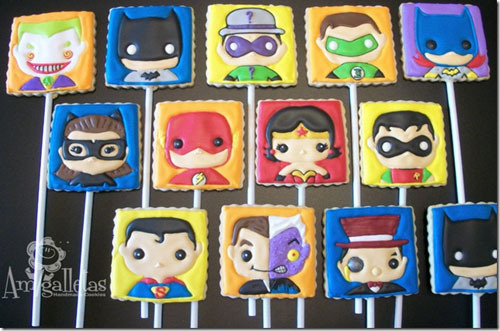 Check out these awesome DC Comics Pop! Vinyl inspired cookies. If you use Google Reader to access our RSS Feeds, it’s time to find a new news reader. Goggle is shutting their Reader down on July 1st. You can check out the previous Off The Shelf article by Clicking Here. 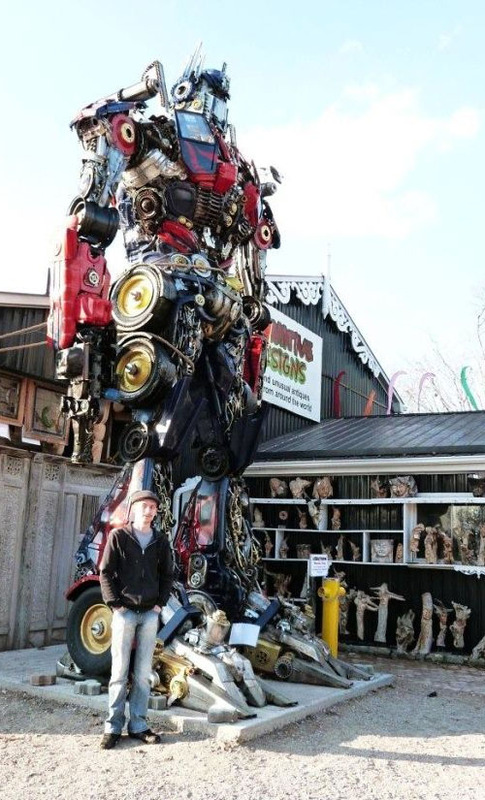 that is a really cool Optimus Prime statue. I hope I can see that in person someday. That Soundwave NES is frikkin awesome. Might as well decorate the shelves at ROSS with that Iron man 3 stuff, I can't see anything but the Legends selling, and there are only 3 different ones out at the moment. All times are GMT -4. The time now is 2:35 PM.